A major preoccupation of people in government is policy innovation. More specifically, it’s how to inject new ideas and ways of doing things that result in policy with innovative and positive outcomes. It’s simple to say, but hard to do. A major preoccupation of people in government is policy innovation. More specifically, it’s how to inject new ideas and ways of doing things that result in policy with innovative and positive outcomes. It’s simple to say, but hard to do. Just ask anyone who has been in the public service. Chances are they’ve spent hours at retreats, attended brown-bag lunch discussions, listened to armchair conversations and been in breakout groups at forums to discuss the “challenge” of policy innovation. They hear the mantra about the need to be innovative, about “new” ideas and “taking risk”. But inevitably reality gets in the way. They leave the brainstorming session and go back to their cubicle and a work environment where the political and bureaucratic will to risk failure basically doesn’t exist. It’s not that there are never innovative ideas that come from government. It’s just that people quickly realize that for all the brave talk about policy innovation being crucial, it’s often better that someone else road tests new ideas. Best that policymakers aren’t the first movers and run the risk of being wrong. The result of this systemic sclerosis in government is that good ideas almost always come from outside the insular and risk-averse world of the public sector. A good example of that innovation is work being done by former Prime Minister Paul Martin. After a career at the pinnacle of Canadian public policy as Finance Minister and then as Prime Minister, Martin now heads the Martin Family Initiative (MFI) out of his office in old Montreal. The primary focus of the effort is to give young Indigenous kids hope and a chance for a good life. Given that half of First Nations children live in poverty and their education attainment rates lag far behind the non-Indigenous population, it’s clearly a laudable initiative. It is also a huge social and economic challenge, one that Martin embraces with singular determination. The sensitivity to the challenges faced by Indigenous people fundamentally shaped Martin’s political views. Back in the bleak days of the mid-1990s, when he was Finance Minister, the Government of Canada was mired in an annual operating deficit of more than $42 billion and a federal debt-to-GDP ratio approaching 75 per cent. Fully 36 cents of every tax dollar went to paying interest on the debt. The nation teetered on the financial brink. There was ominous talk of Canada’s debt being reduced to junk bonds and the possibility of the country being bailed out by the International Monetary Fund. In his budget of 1995, Martin famously vowed that the federal deficit would be eliminated “come hell or high water.” Three years later the budget was in surplus without the arrival of either hell, or high water. At least not in a literal sense. But it did come with more than a little pain, especially for the provinces, which had to absorb significant cuts in federal transfer payments. These days it’s interesting to recall one decision point in Martin’s grim budget. The line Martin refused to cross was spending cuts involving First Nations people. While most departments experienced deep reductions as a result of program review, the then Department of Indian Affairs and Northern Development was shielded from cuts. Instead, its annual increase was capped at two per cent. The limit stayed in place after the budget returned to surplus, a lingering restraint that eventually came in for criticism from Indigenous leaders.2 Years later as Prime Minister, Martin put First Nations issues at the centre of his government’s agenda. In fact at his swearing in as PM, he had a smudging ceremony in recognition to his commitment to Indigenous Canadians. There were two high-profile policy initiatives during Martin’s three years as PM. One was a 10-year health care funding agreement with the provinces, which received significant criticism as merely handing money over to the provinces with no significant strings attached to ensure reform of the system. The other was the Kelowna Accord. It was the culmination of many months of painstaking consultations between the federal, provincial, territorial governments, and leaders of Indigenous groups. The key to getting agreement was the breadth of the consultation. Indigenous leaders from across Canada were not only deeply involved in the negotiations with governments, but took ownership of the outcome. The Accord was a five-year, $5.1 billion agreement that sought to reduce the life gap between Indigenous and Non-Indigenous Canadians and finally lift the two-per cent limit on growth in annual funding.3 The $5.1 billion was booked by then Finance Minister Ralph Goodale. But soon after, when the Stephen Harper government was elected, the Accord was cancelled. Arguing the agreement was “written on the back of an envelope”, the money was diverted to other spending. To this day, the process that led to the accord remains a model for consultation with the Indigenous communities, especially given the on-going failures to reach agreement on pipelines and natural resource developments that affect First Nations. It is that belief which underpins the MFI. There are three streams. The first is the “Early Years” which covers pre-natal through to age five. The second is literacy in the initial grades of elementary school. The third is Indigenous youth entrepreneurship and business in high school. To ensure their relevance, applicability and effectiveness, each program is designed working closely with Indigenous people. They are not created and imposed by outsiders, but by people on the ground in the communities. The Early Years initiative forms the foundation. It comes in two phases. The first provides assistance through “home visitors”, women members of the First Nations communities who are hired to provide support for young mothers. It begins when the women are pregnant and continues until their child reaches age two. The effort is based on scientific recognition that the pre-natal through age five are the crucial years in brain development and determining life outcomes for children. Get the first five years right, and the chances are greatly enhanced the child will do well in life. The second phase focuses on children aged two to the start of kindergarten through the creation of on-reserve child development centres. The centres provide nutritious meals, learning, reading, as well as Indigenous language and culture sessions for the kids. The final piece was development of the pedagogy and textbook by Indigenous teachers for an Indigenous youth entrepreneurship course in high school for grades 11 and 12. While most high schools have a business class elective, none had one that addressed Indigenous business education. The class was introduced in a Thunder Bay high school and now is in 40 high schools across Canada, including 11 in Saskatchewan. The 2017-18 average success rate for enrollment and completion of the class in Saskatchewan schools was more than 81 per cent. Coupled with the specific classroom education initiatives, is a First Nations’ Schools Principals’ Course to assist on-reserve school principals who lack resources, support and learning opportunities. The principals program, which was developed by 20 leaders from First Nations schools, gives principals the network, learning and support system they lack and need to be successful. In each case, the programs are pilot tested for five years to determine success. The five-year process is fully funded by the MFI, with support of other non-government donors. Once proof of concept is secured, and relevant data produced, the road-tested program is then turned over to Indigenous communities for implementation, with support from willing governments. There is virtually no chance that government could follow the same path of innovation. The fact is government has little capacity or opportunity to pilot test policy, because by definition it means risking taxpayers’ dollars on special treatment that could ultimately fail. The Martin Foundation is not alone in its efforts to develop, test and implement innovative policy. In Regina, the Mother Teresa Middle School, which was started by businessman Paul Hill, focuses its efforts on vulnerable and economically disadvantaged youth in Grade 6-8. It provides extended school time, small class and school size, transitional supports by “an innovative, extensive middle year’s program”, all based on the Jesuit education model. 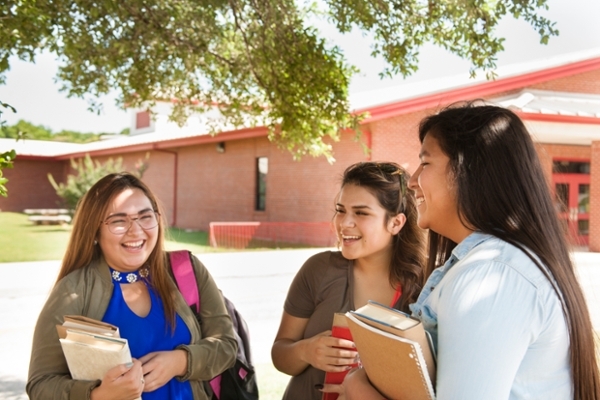 As students are drawn from disadvantaged neighbourhoods, the majority of students at Mother Teresa are of Indigenous ancestry. The inevitable question that arises for government policymakers is cost. Virtually any issue can be addressed and hopefully resolved, or at least mitigated, with enough public funding. But the more pertinent question is can Canada afford not to follow the path set out by Martin and others. 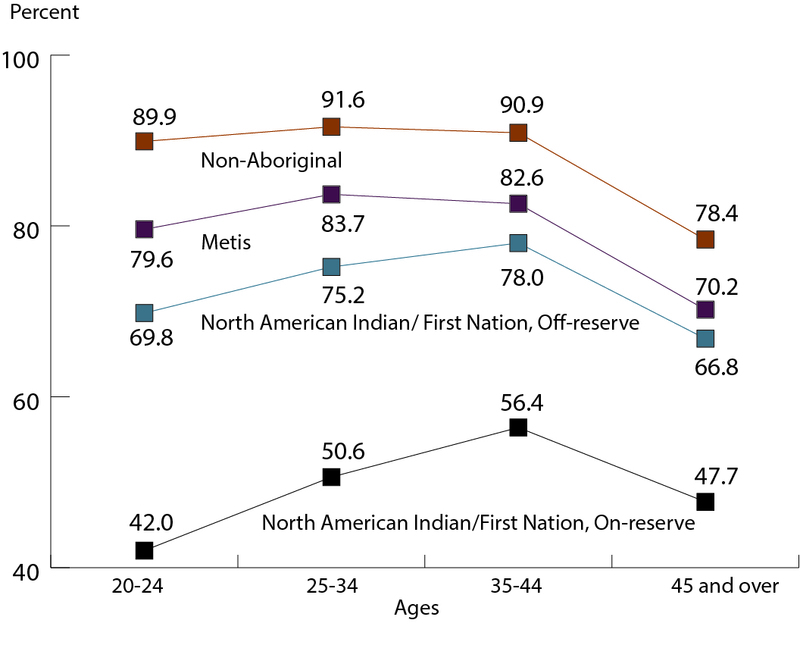 In its study “The Contribution of Aboriginal People to Future Labour Force Growth in Canada”, the Centre for the Study of Living Standards last year examined how to close the socioeconomic gaps between Indigenous and non-Indigenous Canadians. It is those two realities that form the rationale and motivation behind Martin’s initiative to tackle issues head-on. The scope of the approach, from pre-natal through to Grade Three, and the Indigenous entrepreneurship course for high school students, directly supports the universal belief that education is the most powerful public policy tool at the disposal of governments. The constraint is that the solution will be costly if governments are to act in a serious and focused manner. To that, Martin argues the alternatives will be far more costly, in financial and human terms. “I don’t know of anyone, unless they were a direct descendant of British aristocracy, who would be a success today if someone hadn’t invented publicly funded quality public schools for everyone,” Martin says. The policy challenge is obvious. The key to economic growth and better social outcomes is closing the socio-economic gap between Indigenous and non-Indigenous Canadians. The route to achieve that is through education. If history has been any lesson, not taking the steps necessary to give Indigenous children an equal chance to succeed, especially in their childhood, would be continuing a policy failure of immense proportions. Call it policy innovation if you like. But another description is common sense, and like many good ideas, it comes from outside of government. 6 p. 2, The Debate on First Nations Education Funding: Mind the Gap, Don Drummond and Ellen Kachuck Rosenbluth, Queen’s University, 2013. Prior to joining the JSGS, Dale Eisler spent 16 years with the Government of Canada in a series of senior positions, including as Assistant Deputy Minister Natural Resources Canada; Consul General for Canada in Denver, Colorado; Assistant Secretary to Cabinet at the Privy Council Office in Ottawa; and, Assistant Deputy Minister with the Department of Finance. In 2013, he received the Government of Canada’s Joan Atkinson Award for Public Service Excellence. Prior to joining the federal government, Dale spent 25 years as a journalist. He holds a degree in political science from the University of Saskatchewan, Regina Campus and an MA in political studies from Vermont College. He also studied as a Southam Fellow at the University of Toronto, and is the author of three books.